No, for maximum safety we need a committee. Oh good, we need room for the new Trump 2020 statue! Also, punching people we don’t like, mutatis mutandis. Honest question, what’s wrong with the pioneer father and mother? The argument is that they celebrate a group that displaced and killed and oppressed the original inhabitants of the area. The argument is that the statues celebrate, generically, folks who committed genocide in building the state. Also, their creator was I guess a major creator of Confederate monuments. That said, I think what happened in UNC is the wrong way to go about this. I hope UO Matters is joking in calling for their removal through these means. Nice try Dog, but my attorney has advised me that under the 5th amendment I don’t have to answer this question. If we kept them in place, we could ceremonially stone them every year. Wouldn’t that be better than removing that genocide from everyday memory? Five years ago I would have laughed at the idea of removing the Pioneer Mother and Father statues. This was despite the fact that, as a Connecticut Yankee kid growing up in Charlottesville VA, I hated the Confederate statues, and I knew exactly why they’d been put up in the Courthouse square – to make sure Black people knew that Lincoln was dead and that the descendants of the slavers were back in charge of the South. The Pioneer Mother and Father, on the other hand, I took as symbols of the new America and freedom. And they certainly don’t have the triumphant man on horseback aspect of Lee and Jackson. (For the record, both were losers. Thank you U.S. Grant.) In contrast, our Pioneer Father looks like his life’s ambition is a squirrel for dinner. Mother looks like she just got off a flight from Missouri with a 4 hour delay in SF and just hopes the grandkids are already in bed so she can talk to her daughter. Pretty good stuff, for public art. But, as Senate Pres you have to listen to a lot of people, and sometimes you learn things. Sometimes those things aren’t what you want to learn. In my case, I didn’t want to learn that the Pioneer statues were a simplistic, romanticized representation of western expansion that made most of us feel good and helped us avoid thinking about the stolen land, genocide, racism, and massacres. But they are. I hope it’s clear that I love these statues. I just think that they belong in the graveyard. And I’d like to believe that the anonymous pioneers they represent would be happy to rest there. They were no dummies. They knew what they’d won, and what others had lost, and that the wheel would come around again. The alternative to a midnight removal to the conveniently located Pioneer Cemetery is a long drawn out process to create some new public art to place next to Ma and Pa that somehow, will represent the complicated history that actually transpired over the last 170 years. All approved by a committee. 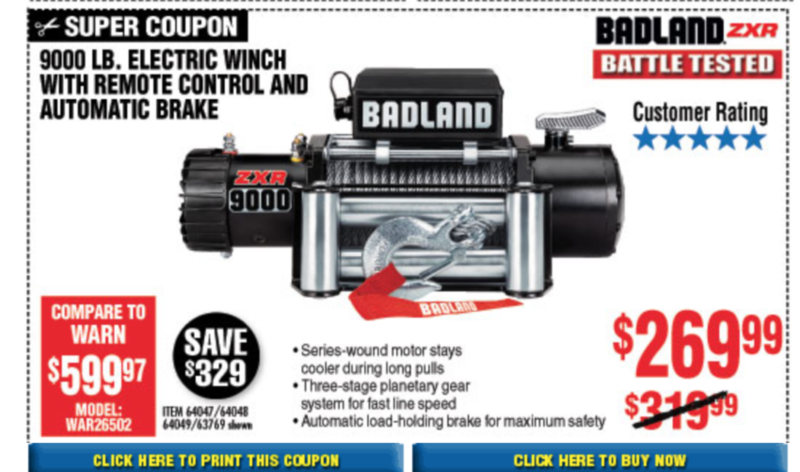 That art is going to cost a lot more than a $269.99 winch, and it’s going to be really ugly. If you don’t believe me, just take a look at what’s in front of Straub now. Thanks Anon, so you’re in for a $20 contribution to the winch? Sorry–I blow all of my money on alimony. Coincidentally, the alimony problem is also solvable with a BadAss wench .. The genocide story is a little more complex in the Pacific Northwest because by the time American settlers arrived, the Native population had already been decimated by disease introduced by the Spanish which spread up the West Coast. (See e.g. here. So the Pioneer Mom & Dad didn’t actually go out and kill Native people, they displaced them after somebody else did most of the job. But put me down for the winch anyway. This narrative so massively distorts the historical record I don’t even know where to begin. Let’s just say this: You are incredibly ignorant if you think the undeniably enormous impact of earlier European and American incursions on the native nations in the West means that “Pioneer Mom & Dad didn’t actually go out and kill Native people”. Please provide some information to go along with your insult. Oh come now, there is more information there than in many posts and it challenges a quote that is cited directly. That seems fair. So it seems our Pioneer Father’s rifle was for humans, not just squirrels. The truth hurts, but it’s a good hurt. Thanks. On the “against” side, the destruction is being generally viewed as civil disobedience. This seemed odd to me, as the civil disobedience of Gandhi or MLK could not have been mistaken for vandalism, nor mob activity. Contrast this quote from MLK: “Any man who breaks a law that conscience tells him is unjust and willingly accepts the penalty by staying in jail in order to arouse the conscience of the community on the injustice of the law is at that moment expressing the very highest respect for law.” This is a deeply noble idea, and the willingness to accept the penalty makes all the difference. “Willingness to accept the penalty” does sound deeply noble. But it’s generally not the most effective strategy. For example, Nelson Mandela did all he could to avoid paying the penalty for his noble work, and so was able to continue it far longer than otherwise. Sam Adams and the other perpetrators of the Boston Tea Party went to great lengths to avoid being caught and they are also widely admired, in part because they got away clean and so were able to keep organizing. Mandela and Adams were effective fighters for their cause, no doubt.